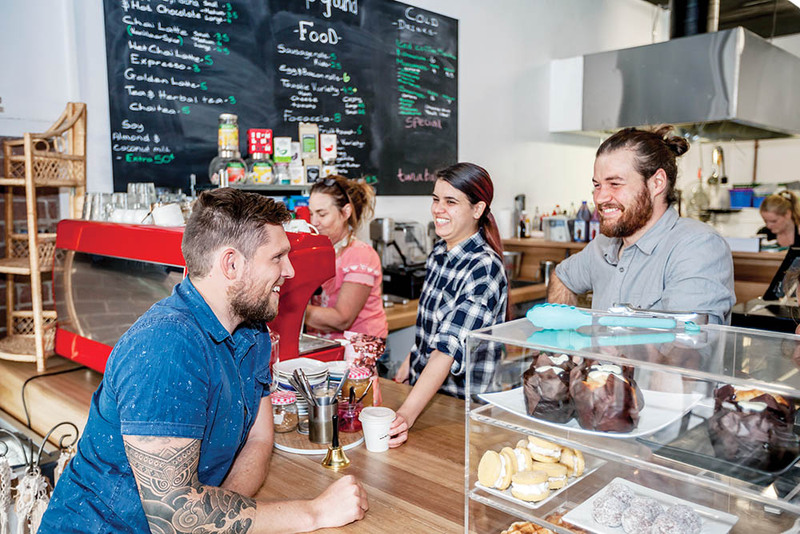 A CAFE in Mornington does more than just serve fresh coffee to customers – it provides its young staff with skills to improve their chances in a tight jobs market. Home Ground, in the Tanti Estate, grew from a working group set up by youth worker Sam Hearn, a Mornington Peninsula Shire councillor, and established Mornington coffee entrepreneur Sam Keck. “For a couple of years we have been combining skills and connections to find employment pathways for young people,” Cr Hearn said. “I was involved in setting up Mornington Park Primary School Op Shop and that was going well, and then the shop next door became vacant and we saw the potential in taking advantage of that. Many are struggling with unemployment, some with personal issues and others looking to set the best course for their lives. Empathy, guidance and constructive advice at Home Ground may pay dividends at this point. “We are trying to build awareness of the shop as a social enterprise but without expectations of profit,” Cr Hearn said. Over its first five months, about 200 people have been involved in working and training at the shop next to the IGA supermarket. It has half a dozen key staff as well as volunteers and trainees. As part of their training, 10 staff train fortnightly at sister-cafe Commonfolk, in Progress Street, Mornington, learning about baristas and absorbing the skills that go with the in-demand occupation. “We knew youth unemployment was a problem, with up to 200 jobs unfilled in tourism and hospitality at any one time,” Cr Hearn said. “They may not want to train young people so we bridge the gap, especially by getting young people up to a level where they can be employed. A director of Surrender Australia, Cr Hearn praised the generosity of Commonfolk’s Sam Keck, who regularly donates coffee beans to Home Ground free of charge. “They believe in giving back to the community,” he said. That sums up the work of both businesses.